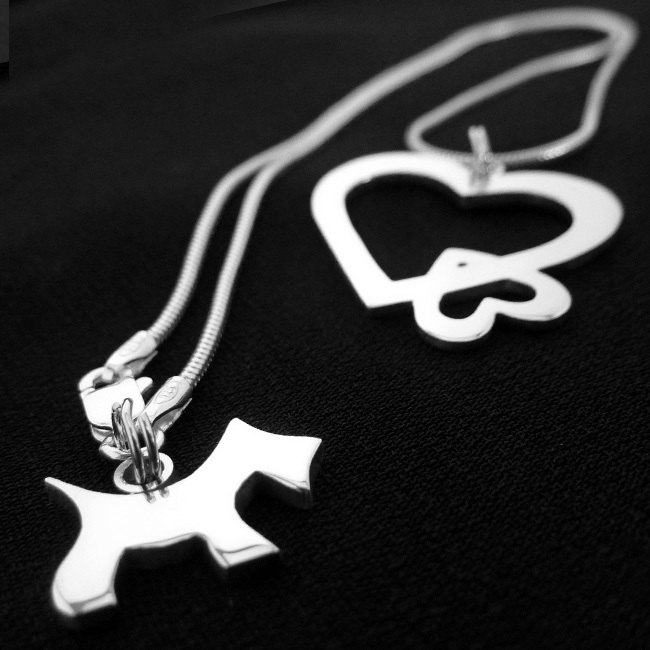 The dog necklace is perfect for any dog lovers. 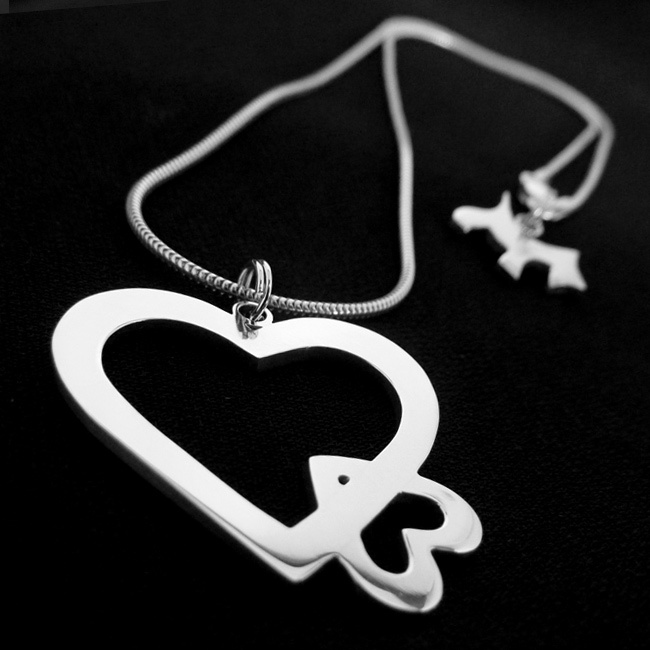 The two hearts are joined together using sterling silver showing great workmanship. The small dog charm at the clasp is especially relevant. SKU: N/A. Availability: In stock Size: N/A Categories: All Jewellery, Necklaces, Commissions. 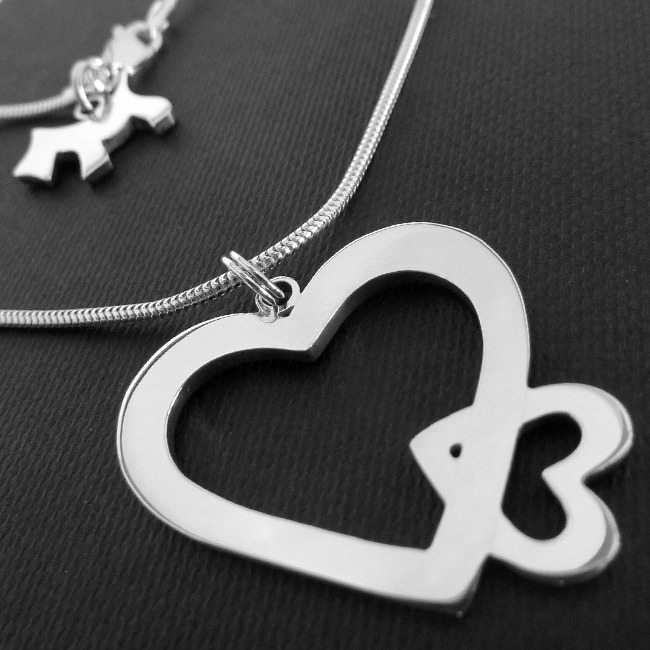 Tags: bespoke silver, dog jewellery, dog necklace, engraving, hand engraving, handmade silver, heart necklace, jewellers, jewellery, jewellery designer, jewellery maker., liverpool, LWSilver, north west, pet jewellery, silver, silversmith, sterling silver, uk, wedding rings, wirral.